During a busy week the last thing that I feel like doing is meal planning and grocery shopping. Life gets hectic and we crave a way to simplify our schedules. Instead of trying to prepare big, square meals during busy weeks, I try to make one-dish meals that incorporate all of the food groups. They can be healthy, fast and prepared in advance. 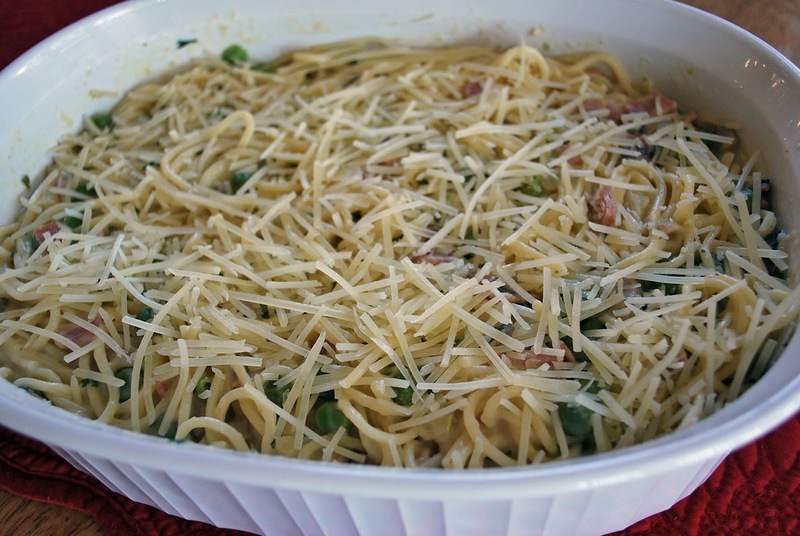 This Creamy Ham and Spaghetti Casserole recipe is a favorite of mine. 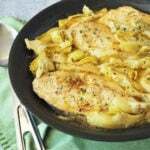 It’s simple, delicious and kid-friendly. 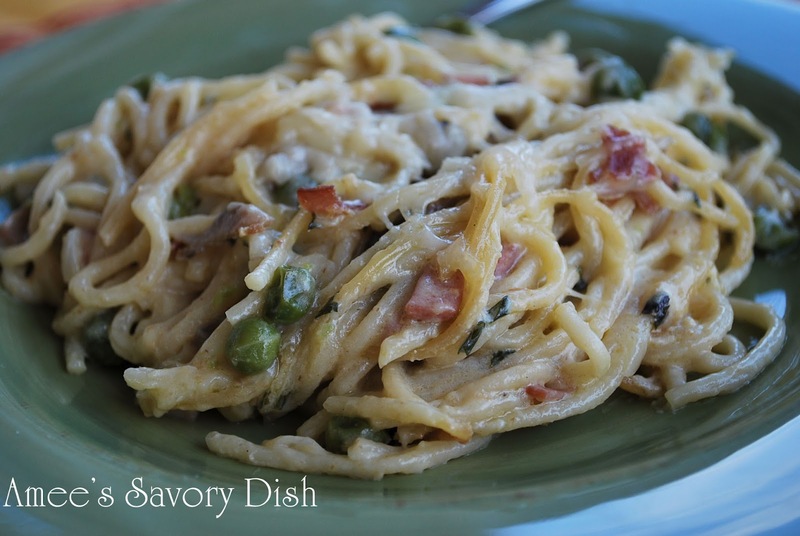 This Creamy Ham and Spaghetti Casserole is made with sautéed chopped ham, fresh mushrooms, onions sweet peas, fresh herbs and sherry that give this casserole incredible flavor. Spray a 3-quart baking dish with nonstick cooking spray. Cook the spaghetti in boiling salted water following the package directions. Add the mushrooms, ham, onion, peas, and parsley. Saute, stirring, until mushrooms are tender and slightly caramelized (do not brown). Add chicken broth, sherry, nutmeg, salt, and pepper. Stir in fat-free half-and-half and half of the cheese. Cook until sauce is creamy and all cheese is melted. Add the pasta and stir to blend.